Uber will be ceasing operations in Quebec on October 14th, 2017, if the company can’t come to an agreement with the provincial government. According to Uber Quebec’s general director Jean-Nicolas Guillemette at a September 26 press conference, the decision to terminate its operations comes as a result of the government’s announcement last Friday that the company’s pilot program in the province had been renewed, but with added caveats aimed at improving driver training and passenger safety, as well as modernizing the province’s existing taxi fleet. “We tried to ensure that we could do things right and comply with regulations…but we did not imagine that we’d have to make this announcement today,” said Guillemette. While Guillemette expressed concerns with the government’s new police background checks mandate, his chief issue was with the new 35-hour training requirement. “In particular, we’re talking about mandatory training of 35 hours, which has never been seen in this sharing economy,” said Guillemette. “Among other things, the proposed rules would impose onerous training obligations developed for a different industry on ridesharing drivers, without taking into account the benefits that come with new technology, such as in-app safety features, GPS tracking of every trip, a two-way rating system, and 24/7 support,” reads an Uber statement emailed to MobileSyrup. Since most of Uber Quebec’s drivers are part-time workers, Guillemette further argued that fewer people would sign up to drive for the service if forced to undergo 35 hours of training. “There are no other places in Canada that require any type of training,” said Guillemette. Guillemette also emphasized — in his prepared remarks, as well as in his answers to French and English media — that Uber did not “want to negotiate in public,” and that the company is prepared to sit down with the Quebec government to discuss new terms. In a press conference on Friday, September 22nd, 2017, Quebec’s minister of transportation Laurent Lessard announced that Uber drivers would have to undergo a police background check, while also taking on an additional 15 hours of training. Background checks were previously handled by a private company employed by Uber, while potential Uber drivers were expected to undergo 20 hours of government-mandated training. According to Guillemette, Uber has roughly 10,000 drivers in Quebec. In the past year, users have taken approximately eight million trips with Uber, while approximately one million people have used the app across the province. MobileSyrup has reached out to Quebec’s ministry of transportation, and will update this story with a response. UPDATE 09/27/17 @ 4:39 P.M.
BetaKit received some numbers from Concur — which provides travel and expense management to businesses — demonstrating the effect that Uber exiting Quebec could have on business travellers. Uber transactions among business travelers in Quebec are up 37.4 percent quarter over quarter. Users expensing Uber in Quebec are up 45.7 percent. Spend on Uber in Quebec is up 42.9 percent. 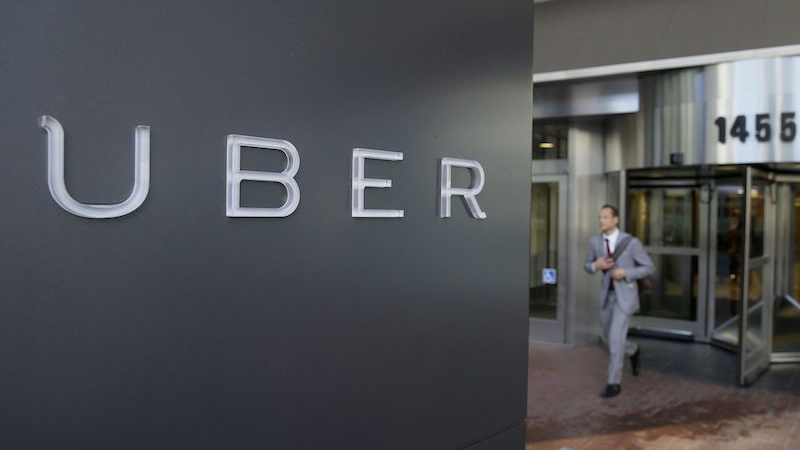 Companies with employees expensing Uber rides in Quebec are up 33.1 percent.